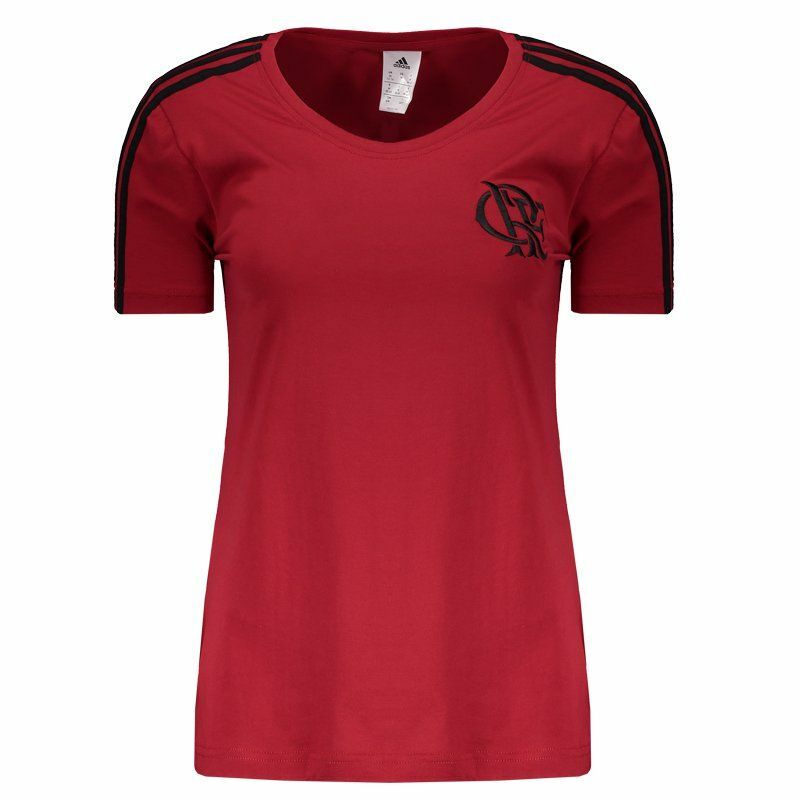 For Mengão fans to wear in games and day to day, the Flamengo Women T-Shirt, produced by Adidas, is the right request. 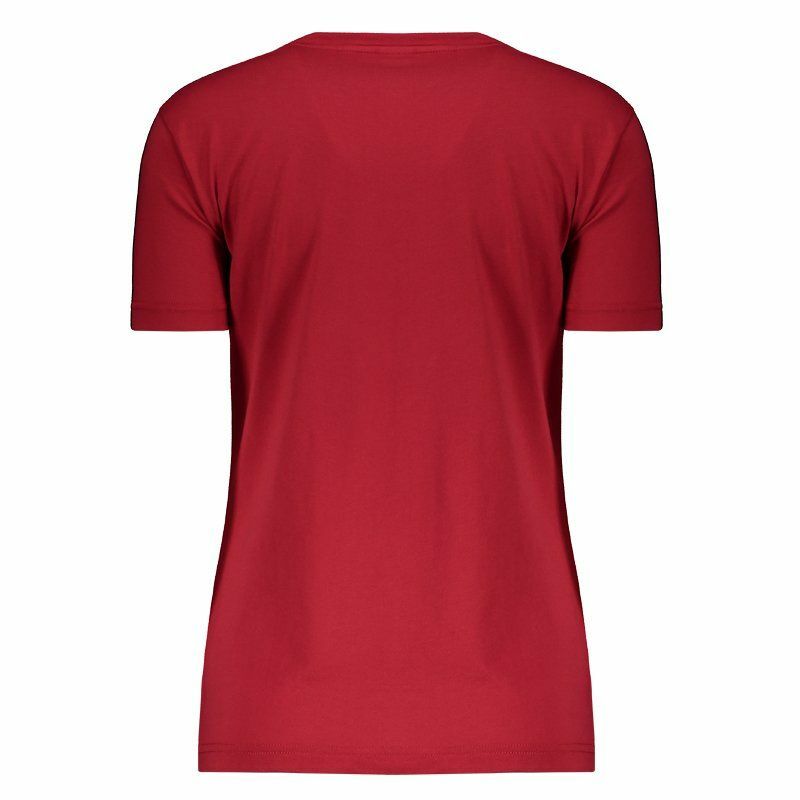 The piece is made of soft cotton, featuring predominantly red design with black details. More info. 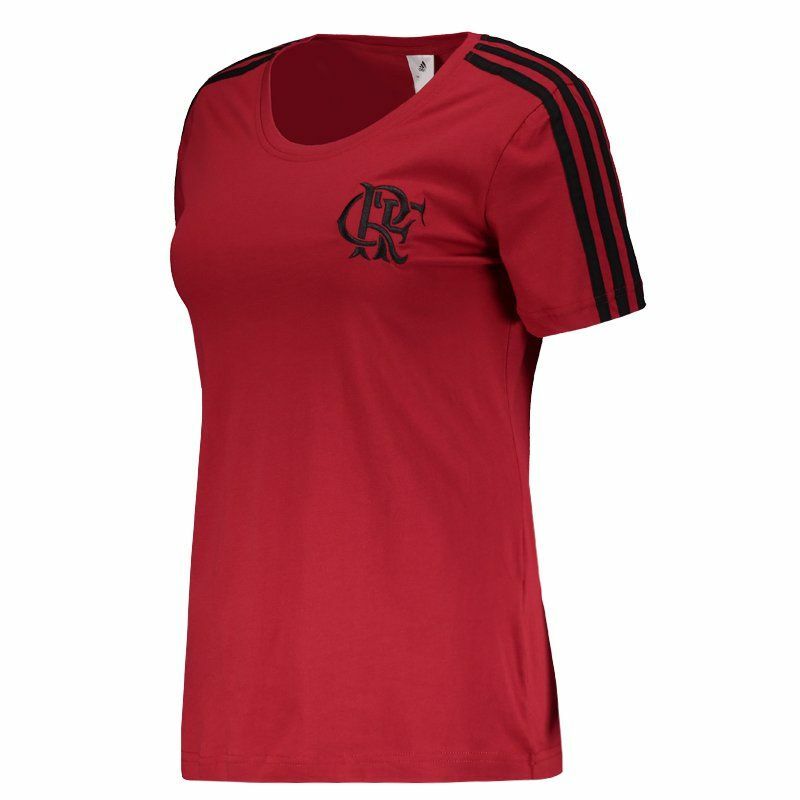 For Mengão fans to wear in games and day to day, the Flamengo Women T-Shirt, produced by Adidas, is the right request. 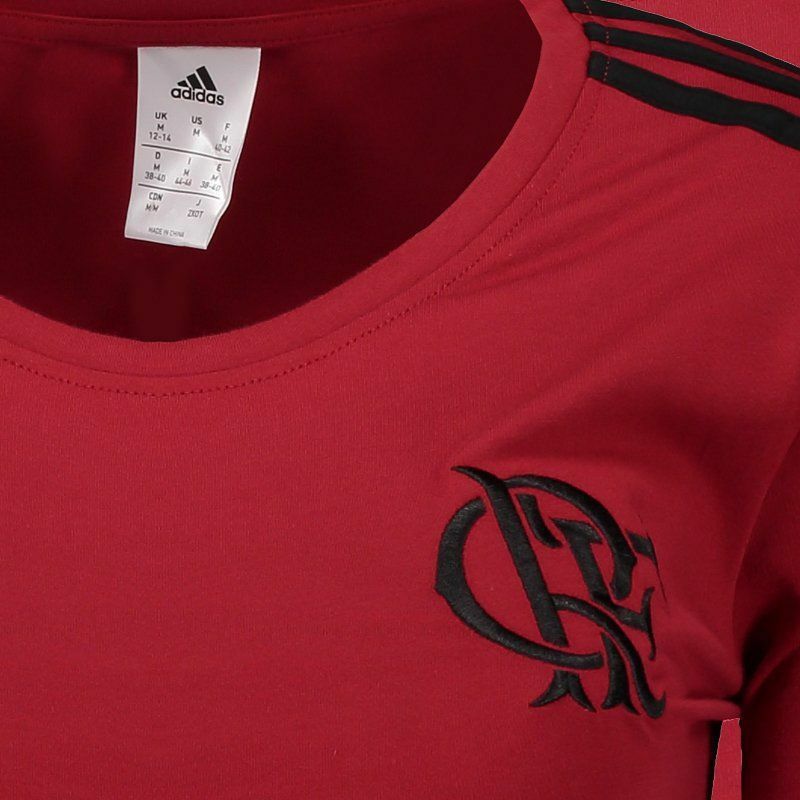 The piece is made of soft cotton, featuring predominantly red design with black details, present in the classic stripes of the mark on the shoulders and the club badge embroidered on the chest. There is also the embroidered brand logo next to the bar. In addition, the collar is crew neck and, finally, the short sleeves complement the details.